Parents of every generation spend time reminiscing, comparing memories of their childhoods to the experiences of their children, worrying that something is missing. 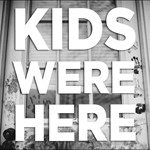 Oftentimes my friends and I lament our “good old days” when we ran around the neighborhood without hawk-eyed helicopter parents tracking our every move, when there was just one phone in the house–attached to the wall by a short cord–which everyone in the family shared, and MTV played music videos 24/7. 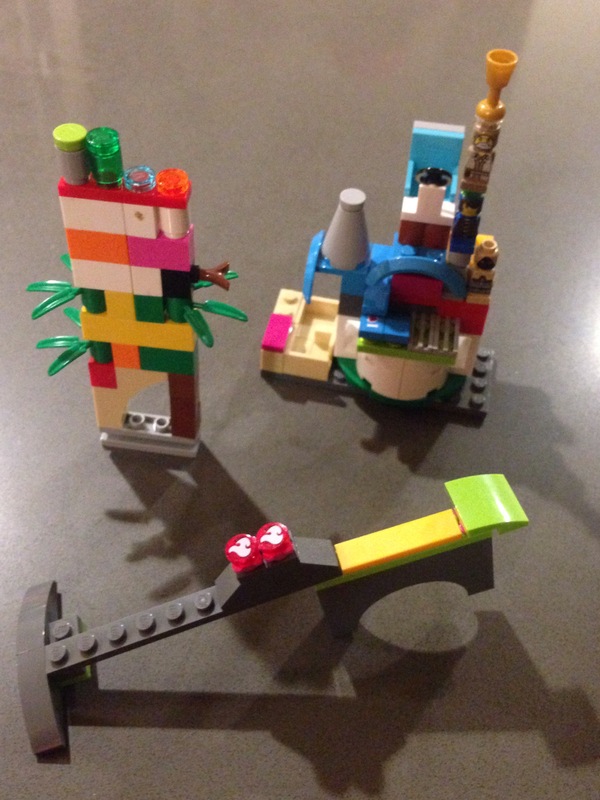 Like our own kids, we recall playing with Legos. The Legos of our youth consisted of a bunch of bricks in varying shapes and sizes and a few mini figures that we transformed into our own imaginary worlds. Today most kids purchase Legos in kits with themes, often tied to movies and other mass-consumed cultural icons like Harry Potter and Disney Princesses. There were few blueprints for what to do with Legos in the 1980s. Today, kids follow step-by-step instructions for what to make with them, and often that’s as far as they’ll go. They beg for a kit, build it once, and set it on a shelf to be admired like an architectural model. This isn’t the worst thing in the world. Following printed instructions kids practice literacy skills, learning to read the visual plans and follow directions. In displaying the results of their efforts, they practice the skills of art collectors making choices about where and how to show their work. What they do not do is explore their own ideas. While I initially tried to keep Cora’s Lego collection to the classics while she begged for some of the Lego Friends kits, made and marketed for girls. She learned to follow the instructions to build the kits as they appear on the box, and she enjoys this so much that she takes some of the kits apart to rebuild them. I think she likes the structure this process provides, as well as the results. I can relate – sometimes it’s nice to follow a recipe, other times I like to throw a bunch of ingredients together to make a new recipe. Cora seems to enjoy deconstructing the kits, piece by tiny piece, as much as she enjoys putting them together. This takes time and because she’s always been more of a big motor muscle skills kid, I know she’s learning just as much through this process – sitting quietly and separating the small parts with her hands. She’s also been recombining pieces from the sets to create her own creations – some reflect a narrative in development while others are more like color field experiments in three dimensions. 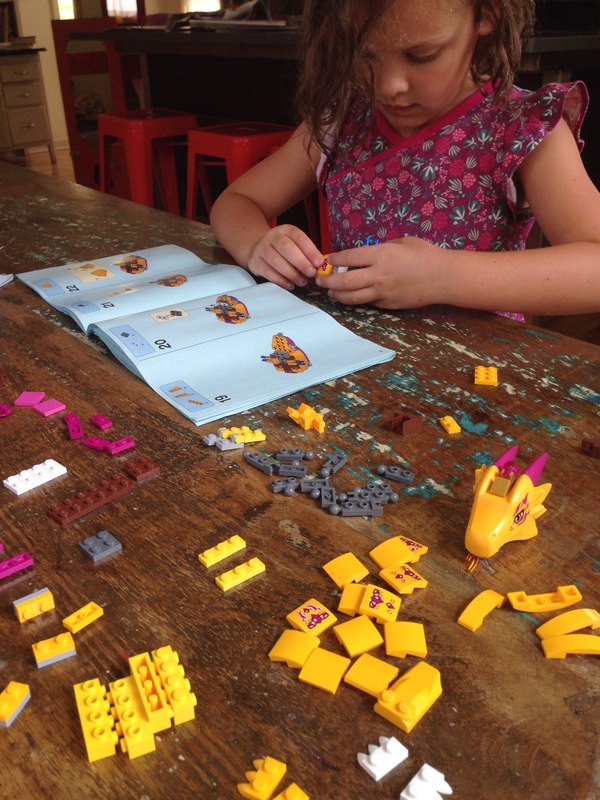 While this can make it frustrating to find all the pieces when she wants to put a kit back together, that’s part of the Lego Adventure–sifting through the bins, looking for just the right brick. And when you can’t find that one, identifying and settling on a substitute. Problem solved, through creative reinvention. A few years ago I noticed the emergence of a cultural phenomenon that truly irritates me. Kids were leaving messages for one another in the fences of local middle and high schools, composed of styrofoam cups. “Jane is 16!” “Go Cards.” That sort of thing. Now that I’m sitting down and writing about it I see this as the manifestation of a desire to make their mark on the world around them using tools available to them. The cups are an everyday part of disposable culture they are growing up in. (When was the last time you were in a school cafeteria?) It makes me incredible sad since I’m the kind of person who will decline a beverage on the airplane in order to save the plastic cup it would be served in. You may not know anyone like this but we’re out here. I’m sadder still when I see the messages weeks later – falling apart, blowing away in the wind, waiting to be cleaned up by the custodial staff – no longer of interest to the kids but forever with us as fuel for the global trash heap. Lots of artists are making interesting work with styrofoam. I wonder if any environmentally conscious art educators out there have used this opportunity to share this work with their students, perhaps harvest the used cups, and make sculptures of them. For my part, I have a little local intervention in mind based on an idea I found at the Lake Eden Arts Festival (LEAF) this fall. Organizers left strips of t-shirt jersey by a chain link fence with a simple invitation: “Be Creative: Use the fabric to weave fence art.” The moment I saw it I imagined this process replacing all those cups. The t-shirt material could be gathered from old shirts (stains and holes welcome) and reused over time. Every time I see a new cup message pop up in my community, I feel a small pang of guilt that I haven’t introduced this new fence writing method to kids in Columbus yet. 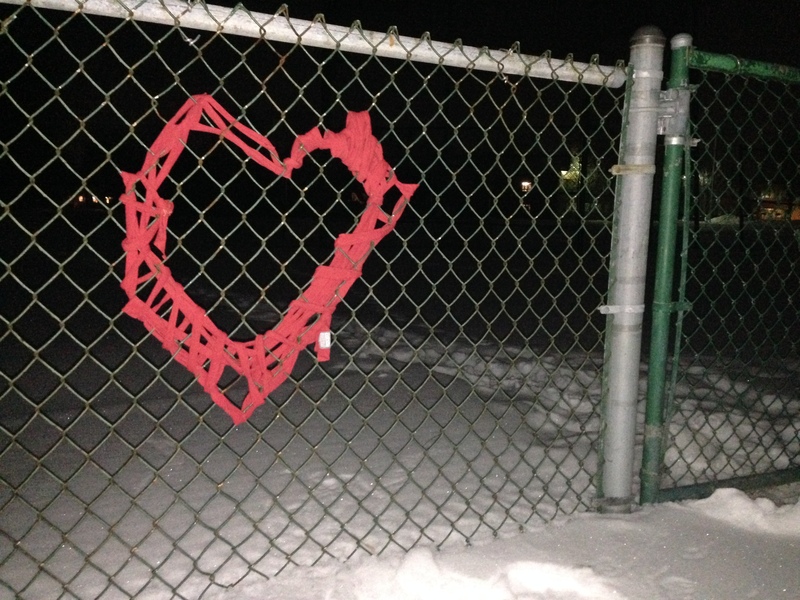 So, last night, as a very last minute Valentine’s gesture, I made a big ball of red t-shirt yarn and went down the street to the neighborhood middle school. I didn’t come close to replicating the vision in my mind. It was late. It was cold. I realized I would have been better off with multiple shorter and fatter strips than the super long skinny one I brought (with no scissors for alterations on site). But I made a gesture. And I plan to make more as the weather warms up. I hope others might follow my lead. This recommendation isn’t like its predecessors. It’s a book of pictures (and words), rather then a picture book. This one is filled with examples of Chindogu, a kind of design challenge credited to Japanese inventor Kenji Kawakami. Chindogu offer solutions to life problems that seem useful at first, but upon further consideration, merely cause more problems for the user. I’m not going to try to describe them here. Just check out Chindogu.com or run a Google image search for a taste. Once you’ve stopped laughing out loud, read on. Rosa and her gal pal spent a good while with it after school today and George, our resident STEM student poured over it at dinner. Their unsolicited enthusiasm for it got me thinking about creativity and invention. Art educators wonder whether these are things that can be taught, and of course our jobs depend on finding ways to make that possible. But sometimes we all just need a good strong dose of inspiration. This book offers that in spades. I can think of a handful of my students who are interested the STEAM approach to education that would find Chindogu interesting. Likewise, Kawakami’s tenents for Chindogu offer parameters for creation that echo parameters set forth in design thinking. I’d love to see an enterprising art educator create an educational resource around this modern day Japanese tradition. At the very least, I hope this book will find its way into a few classrooms. It may be absurd, but I think we could use a bit more of that in our schools. Dan and I are in the process of renovating a rental house. It’s pretty much down to studs at this point. We brought Cora to work with us yesterday, with paints and brushes in tow. At first it just seemed like a good way for her to keep herself busy (and out of trouble) while we did what we had to do. 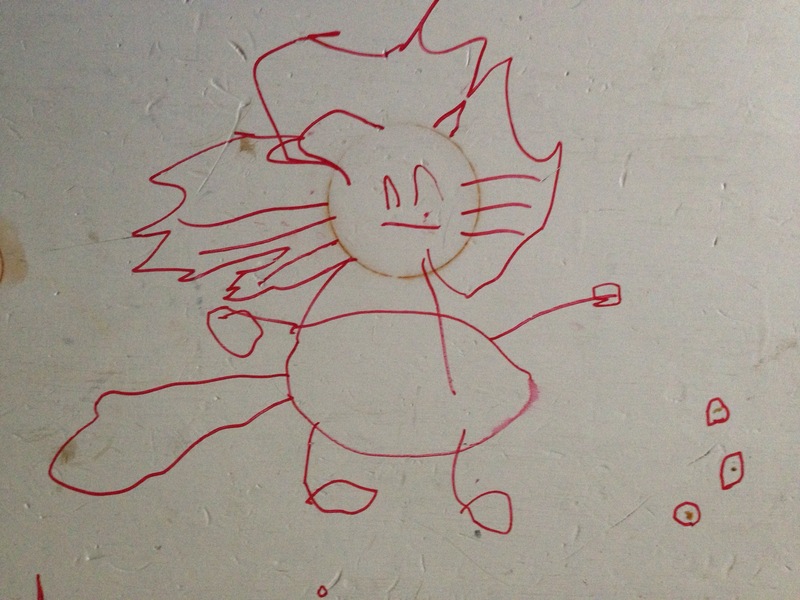 But when we reversed our regular edict to “only draw on paper” and invited her to paint the walls of the kitchen, I wound up distracted in unexpected ways, getting meta about what she was doing. 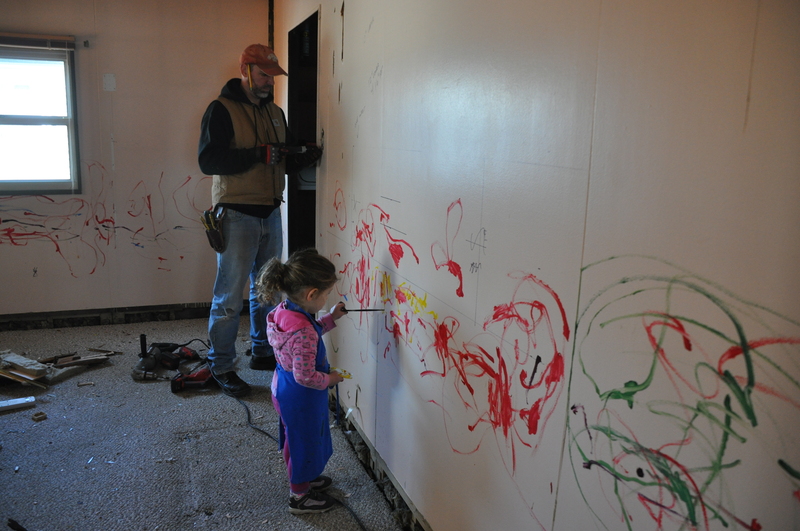 Cora didn’t just paint in one small area, she relished the chance to tag every surface she could reach. This first had me thinking of her process in relation to graffiti artists “bombing” a site, like the Australian artists whose work went viral last month. But then a friend compared it to Jackson Pollock. Indeed, like the late great Jack the Dripper Cora was following her natural inclinations, approaching the canvas in an all-over style, moving her arm in big circles and dancing her lines around the room. Like Pollock, she seemed to be tapping into something primitive. Cora took breaks from her painting from time to time, as if stepping away to gain new perspective, then returned with renewed energy and new colors on her palette. Most remarkably, she didn’t paint a single stroke on her body and begged to wash her hands when she was finished. Anyone who has followed her painting practice knows this is highly unusual. She was immersed in the process; experiencing flow. While at first I was just happy she was keeping busy and out of the way, in the end, I was proud of her work and of me and Dan for providing her this opportunity for authentic creative play. We’re heading back this morning with more materials in hand. I can’t see what she does next. Sometimes I feel like I have been living under a rock the past few years. Under a couple of kids is more like it, but the fact is that this weekend I encountered two cultural phenomenon that made the rounds over the past few years without crossing my field of vision, even as shadows: “Caine’s Arcade” and Oliver Herring’s TASK. Once again, I’m grateful to the super cool folks at the Columbus Museum of Art’s Center for Creativity for bringing me up to speed. “Caine’s Arcade” is a short film about 9-year old Caine and the arcade he built primarily out of boxes he found at his dad’s auto parts shop. The film has been viewed nearly 4 million times on YouTube alone. Yesterday, in conjunction with the Imagination Foundation (read about it, it’s really cool), the CMA hosted a cardboard challenge to celebrate that group’s Global Day of Play. Dan, Rosa, Cora, and I rolled through asking people about their projects, but we saved our energy for TASK which had been highly recommended during the previous day’s discussion of Play=Art. Come as you are. Lots of cardboard and other materials were on hand! Father and son team up on a futuristic people mover. Everything started out quite neat and tidy. Cora gets into the action. Oliver Herring with young TASK participants. Cat meet monster. Monster, Cat. Weekend warrior? A new form of tefillan? Most definitions for the word task include some level of discomfort, a chore one is assigned to complete. I’m sure Herring understood this when he chose that word as the name for his project. For while TASK can be a fun-filled venture that invites moments of play, Herring doesn’t believe play must always be pleasurable. Conversely, he suggests play can be an opportunity to break free of routine, to push one’s boundaries. I like this idea. It resonates with my growing sense that disruption can be a powerful catalyst for play and creativity. It’s been nearly a year since Dan and I brought George to the CMA to participate in Dispatchwork. That had been such a great experience for our family I really wanted to try another round; this time with Rosa as our focal point. But while we started out collaborating on a task, she wanted to do the next one on her own. And the one after that. And the one after that. Dan and Cora also got involved in their own projects as I fell into a participant-observer role and chatted with some of the other educator-researchers in the room. Our family has been working hard on home projects lately and this was a welcome break from our regular routine. Dan was reluctant to give up time for his works in progress, but ultimately said he was glad he went, that he took the time out. Rosa has had a few good experiences at the CMA recently, and was less difficult to convince. This came as a bit of a surprise since she is a teenager who values her weekends as time to do, pretty much, nothing. When I asked her how TASK was different from art class at school she told me, “Here you have something to do, but you decide how to do it. At school you have to follow the teacher’s instructions.” For us all, this activity was a task, but not a chore.